Required Entry: Would you like to win? Leave a comment on this post telling me which Petunia Bag you would like to carry. A winner will be chosen at random. Oh how can you choose one? They are all so beautiful!! I love the Roseberry. I have always wanted one of these! Love them. Seconded. They are all so beautiful! I think I love the scout pack though! oh i LOVE the springtime in surrey pattern! i'm now a fan of petunia on fb! I had never heard of Petunia Pickelbottom, but I love the Apple Tart Cake...green is my new favorite color! Pretty much you are giving away my very favorite - the Springtime in Surrey! I would love the Cake Satchel, but obviously, I'd also really love the FREE one!!! Springtime in Surrey crosstown clutch - darling! tea on the thames is my favorite i think! I like the Winterberry roll touring tote. Perfect! I NEED the cake comopolitan carryall in buttercream!!! beautiful!! i am a follower of family volley! i am a fan of petunia on fb! I love the Springtime in Surrey in the Touring Tote style. I am a Petunia Fan on FB. They are all so beautiful, how could I ever choose? Love the springime in surrey and the buttercream cake! Lalalooooove all touring totes. Especially the sleepy santorini one. Wowie! These look awesome. I wonder if all the compartments would keep me more organized and I just love how there are so many differences. I'd have to have one with the glazed finish because of the children I already have. But I also think the Dad bags are amazing. What fun. Became a petunia Fan on fb.. ive always loved these bags! I'm a PPB FB fan. Gorgeous! I like the Picnic in Provence. I became a PPB fan. I love the touring tote in Winterberry roll. I have wanted this bag for a long time. Oh dear. I must have that Springtime in Surrey boxy backpack. I love it! Oh man, I am a huge Cake fan. The French Gooseberry Cake is my fav. bag. But that Cream cake bag is also so yummy. Love these bags. I love the Picnic in Provence and Sleepy Santorini Cross Town Clutches - gorgeous! my favorite is the Boxy Backpack, Springtime in Surrey!! I would happily tote the Cosmopolitan Carry-All in Apple Tart Cake (by Cake)! Oh wow - I love a functional diaper bag that doesn't look like a diaper bag - and the cake bags go way above and beyond!! I love the buttercream - so perfect for springtime. My daughter in law would love the springtime in surrey. Truth be told, I'm a fan of the Journey Pack. To be honest, I have never had a petunia picklebottom. I have always wanted one though. I love the Touring Totes in Rhone Blooms. Definitely the cake cosmopolitan carryall. I am now a follower of Family Volley as well! Thanks again! I can think of lots of uses for the Box Backpack since I am far from the diaper bag stage. Enjoy your little ones CJane. They will grow so fast! I couldn't possibly choose only one bag -- these are amazing! I'd be sporting Juniper Berry Crumb Cake! I love the Society Satchel in the French Gooseberry Cake or the Buttercream Cake. They are just divine looking, and too cute for words! I'm pregnant for the first time, but this is our third child. We will have three little ones under the age of three. 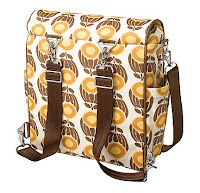 I have been searching high and low for a large, stylish, diaper bag that will hold all our baby/kid goodies. These bags look just perfect. The shoulder bag in Moment in Morroocco is my fav! Gorgeous, lovely, mommy-ware. Tea On The Thames Touring Totes...pretty AND alliteration! Springtime in Surrey is my favorite too. I've been eying it since its debut. They are all so beautiful, but if I was able to choose, I would say, the Sleepy Santorini is my favorite! I'm a PPB facebook fan. Licorice pudding cake carry all--soo beautiful! I am a follower of Petunia on Facebook. i like the midnight iris roll bag! They are all so beautiful, it's hard to choose just one. I think my favorite is the Society Satchel in licorice pudding cake. I love all the names, too. Yummy. Turkish Twilight is my favorite pattern, but I love the Cake line!! I am liking the boxy backpack!!! I have 3 boys and so NEED a little feminine touch. I love dancing in dublin boxy backpack! Love Love Love Picnic in Provence. But I should be unselfish and request a Journey Pack Compact for the hubster...he's so great with the kids! beautiful bags! i like "moment in morocco." since my next babe is due to be a girl, i think the colors are perfect. I love the shoulder sleep santorini bag. These are all so cute! I love the buttercream cake bag! I love them all! Oh what a wonderful gift for a stylish Mama like CJane!!! I am in love with the "Chocolate Decadence Carryall" bag. Such a hard decision but I think I want the Dancing In Dublin bag. Diaper bags with style? 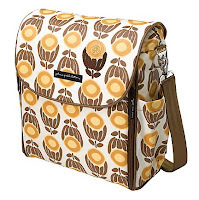 love the winterberry roll backpack. CUTE! I love the Touring Tote in Tranquil Tibet! Sleepy Santorini is definitely my favorite. Almost makes me want to have a kid! I love the boxy backpack in the heirloom design. Love them! I am having my second baby in August and if I could win one thing from this giveaway, it would be this diaper bag! I really love the buttercream cake bag as well-its lovely! Also, what a perfect gift for CJANE! These are just awesome! I love the Granada Nights shoulder bag! So chic! Love the Cake Society Satchel in Chocolate Decadence. I've fallen in love with the Tea on the Thames in the Boxy Backpack. I like the Sleepy Santorini shoulder bag. Cute bags! I love the sleepy santorini diaper bag! Oh how I could use a new diaper bag! I am constantly loosing everything right now! oh my goodness the Cake Cosmopolitan Carryall is adorable! However the little clutch is as well. The Tea on the Thames bag is my favorite. By I like them all. Chocolate Decadance Carryall is to die for!! I also LOVE the Springtine in Surry bag! The boxy backpack would be perfect with three small kiddos. Winterberry roll is my choice. Such wonderful bags! Love them all. I love all the bags! If I had to choose ONE it would be the Cosmopolitan Carry All in Apple Tart Cake. Soooooo pretty! I love the Cake bags as well. I think I'd pick the Oasis Roll if I were going to get one though. It would look super cute with my stroller, but not as cute as this baby I'm about to have! Lover the Springtime Surrey! Happy baby shower! Holy Cow I have wanted a Petunia bag for 4 years! Pick me!!! I'm about to have baby #4 and I could use it! I love the touring tote in Rhone Blooms! Love the Red Velvet Cosmopolitan Carryall! Sleepy Santorini touring bag is beautiful. I love the Calyso Roll bag! Would love to give one of these as a shower gift. I love the shape and size of the Touring Tote but I really like the Shopper Tote too. The fabrics are all so gorgeous it would be hard to pick the print! I really like the Cross Town Clutch in Tea on the Thames print. Very classic. Oooh - I love the rucksack. Perfect for outings with my three little boys! The Sleepy Santorini pattern is beautiful!! for sure the juniper berry crumb cake cosmopolitan carry all. but really, i'd love any of them. Black Orchid Roll. Here's to hoping I win! I think the Winterberry Roll bag is gorgeous! Definitely my favorite!!! Oh my goodness! So many gorgeous bags. I love the Cake Cosmopolitan Carryall. I love the buttercream cake and the green apple tart one. Really love the cake line, especially the French Gooseberry. So pretty and ladylike. Love it! I have the touring coach but would love to have a cross town clutch! Mmmmmmm, the licorice pudding cake society satchel!!! I am a familyvolley follower! I love the Granada Nights touring tote! They are all gorgeous, but I love the Heirloom diaper bag. I absolutely love the Touring Tote in the Sleepy Santorini Glazed fabric. So cute! who wouldn't want an apple tart thrown over their shoulder? i love it! I love the cake line in the buttercream Yum! what a sweet thing you're doing! 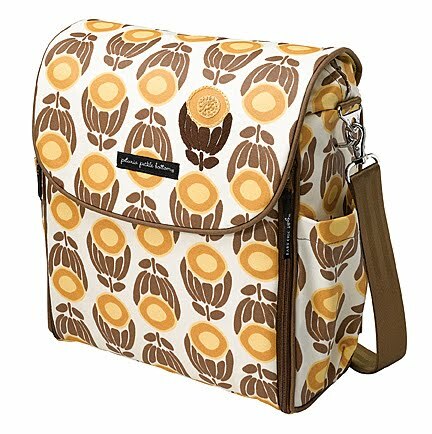 i'm feeling frenchy - so i'm diggin' the french gooseberry cake or the picnic in provence backpack! Touring tote in Winterberry Roll. Or a Rubicon Rucksack in black buffalo leather. Actually I just want ALL the bags! So cute! I'd like to have the "cosmo carryall buttercream cake"! Yummy! I am petunia fan on fb! I love the Oasis Roll bag! I love the Boxy backpack! The Tranquil Tibet clutch is so unique! Nobody would ever guess that you had a few diapers stashed in there! I love the tea on the thames pattern. It would be great in the clutch or the touring tote. I love the shoulder bag in Sleepy Santorini! The Apple Tart Cake bag for sure! Love, love, love the color! I really like the Springtime in Surrey. It would be great for either a boy or girl! Rhone Blooms - love it, love it, love it. Love the original in Granada Nights. Due in a few months. Fingers crossed! I would give my sister the Moment in Morocco bag. I love the touring tote in granada nights! So hard to chose just one! But I think I would go with the shoulder bag in sleepy santori. Nice and neutral! Love that Cross Town Clutch!!! I like the Springtime In Surrey bag! I am a new family volley follower! the granada nights shoulder bag is the bag for me. love the red accents! the word is out! so i became a fan on FB to help my chances! Sleepy Santorini - the touring tote. I am a facebook fan now! I love the Tea in Thames pattern in the boxy backpack. I love Petunia Pickle Bottom bags! I love all the cake bags but, have been wanting the springtime in surrey bag for this new baby on the way. I almost bought it at a store here but could not afford it. Crossing my fingers! I just adore the Oasis Roll shoulder bag!! I absolutely adore the Boxy Backpack in Tea on the Thames. The modern doiley look is so delicate and so stunning. 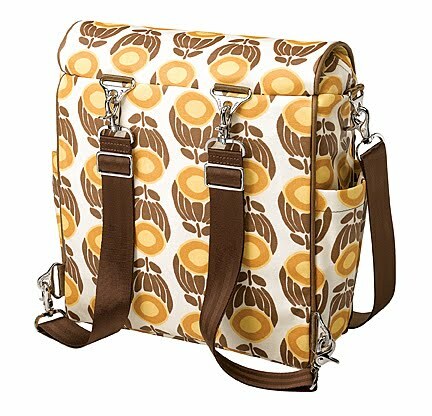 It would be the perfect bag to carry when my baby girl comes (due May 28th!). I REALLY want the Cosmopolitan Carryall in Apple Tart, or the Society Satchel in Apple Tart or Licorice Pudding. I am in love with the cake collection!! I need the Rhones Blooms boxy backpack. I like the touring totes. I am now a follower of Family Volley. The touring tote in Springtime in Surrey ... I love a diaper bag that is a big more "purse" looking and that one is fantastic! I love the bag in the give away! I love the line of bags for men! I feel like there are never any cute ones made for them! I love the rubicon or journey. All the flavors are fantastic! I would love the cross town clutch in granada nights. a boxy backpack in Winter Bloom.... Love it! So Many choices! I absolutely love the Rubicon Rucksack and would choose black buffalo leather. This is a beautiful bag!